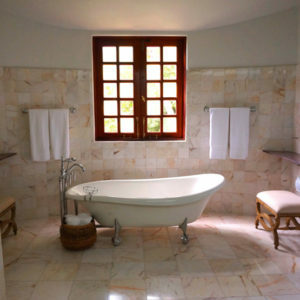 The Bathroom is the second most important room in your home for return on investment. Sciarappa Construction, located in Avon Lake, Ohio, is determined to be the best brand and achieve a perfect reputation in bathroom remodeling for comfort in your home. A Sciarappa Construction brand remodel provides style, features, and return on your investment. Sciarappa Construction wants to remodel or build with you, tell us about your home wishes and dreams! At Sciarappa Construction, we don’t change your plans or ideas, our team works with you to make them happen! Our team of home architects, designers, and craftsmen combine years of construction and remodeling talent that delivers results that last long after the build. Our design professionals are available to assist in layout, planning, and offer advice on how to get the most out of your bathroom budget. Adding space is an important factor in bathroom remodeling. Sometimes the first design and build of your bathroom may not always be the best use of space. The Sciarappa Construction brand bathroom remodel takes these factors and homeowner input into design consideration. This is your opportunity to correct previous and preventative problems. In many homes, galvanized plumbing may need upgrading, in addition to other potential surprises that might be revealed once drywall is removed. Treat yourself and your home to a Sciarappa Construction remodel. Your bathroom is a very important component of your home. Make your time in the bathroom pleasurable with a Sciarappa Construction brand bath remodel. Find yourself relaxing in a walk in bath or jetted tub, the bathroom should be your oasis to a well-deserved and comforted pampering. Our design team can custom design and install multi-head and single-head shower installations. Let your shower work to relax you in a spa-inspired, therapeutic environment. Adjust your lighting to your mood or enjoy warm feet with an electric heating mat installed under tile flooring. However you can envision your bathroom comfort, Sciarappa Construction wishes to make it happen for you! Call now to schedule your free estimate. Sciarappa Construction is located in Avon Lake, Ohio and has been in business since 2006. Sciarappa Construction is a family-owned, family-run, full-service construction company. Our general contracting crew has over 40 years of combined experience in remodleing homes within the Avon, Avon Lake, and Greater Cleveland, Ohio areas. Sciarappa Construction is located in Avon Lake, Ohio and is a general contracting company specializing in construction for Kitchen Remodeling, Bathroom Remodeling, Patio Enclosures, Room Additions and Finished Basements.